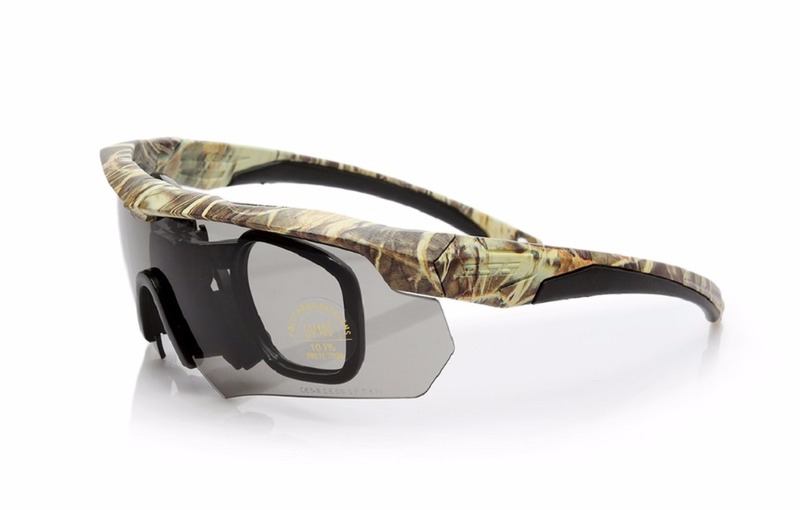 The Tactical Polarized Ballistic Glasses are specially designed for military use. 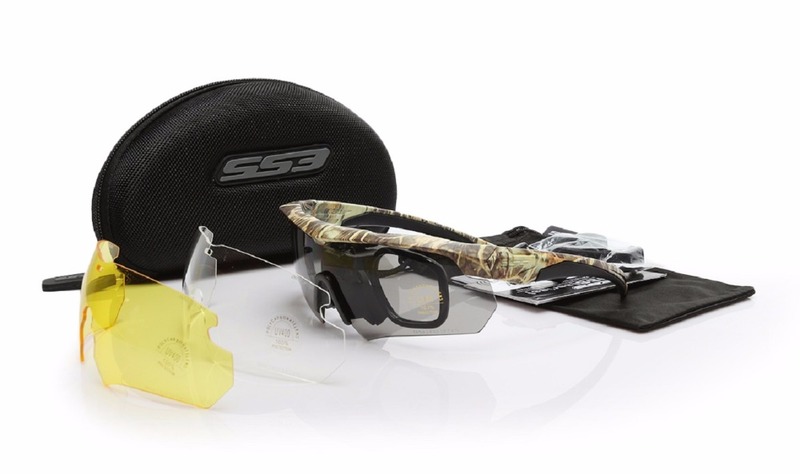 Try these on and discover they're unlike any other ballistic eye-shield! It's the first spectacle frame designed for use with ear cup hearing protection and communications devices while keeping to the highest standards of optical precision and protection! Each set comes with 3 different lens types - Hi-Def Yellow, Smoke Grey, and Transparent. 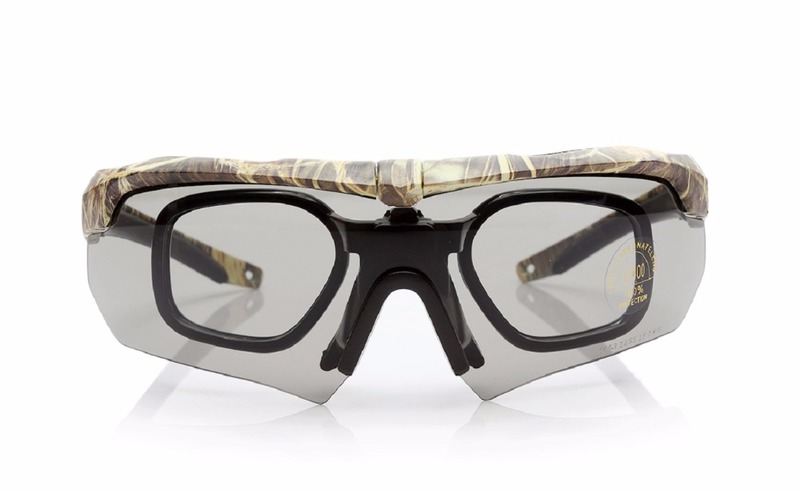 Choose from 3 different frame colors - Black, Khaki, or Camouflage. 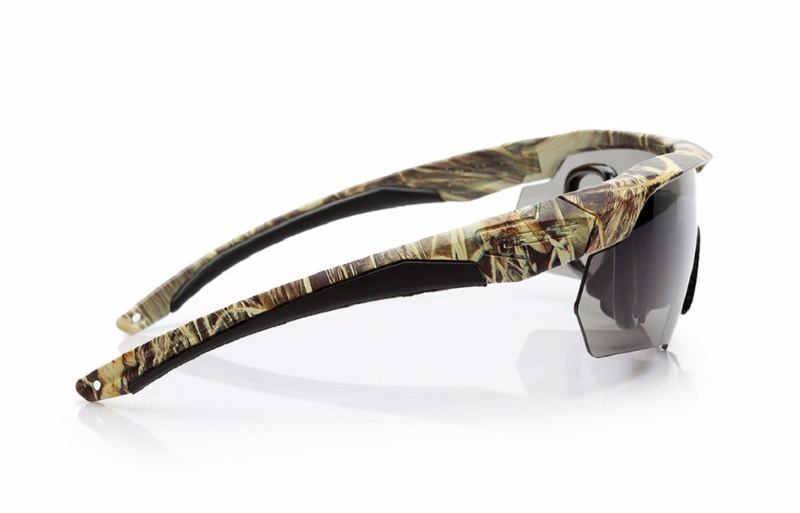 These ballistic sunglasses don't fog thanks to groundbreaking Flow-Coat dual lens coatings, engineered to maximize scratch resistance on the outside and fog resistance on the inside. The 2.4mm Polycarbonate high-impact lenses are made for distortion-free optical precision. As you stare down your objective through the ESSOPTICS system, you'll experience distortion-free optical precision throughout the entire field of view. 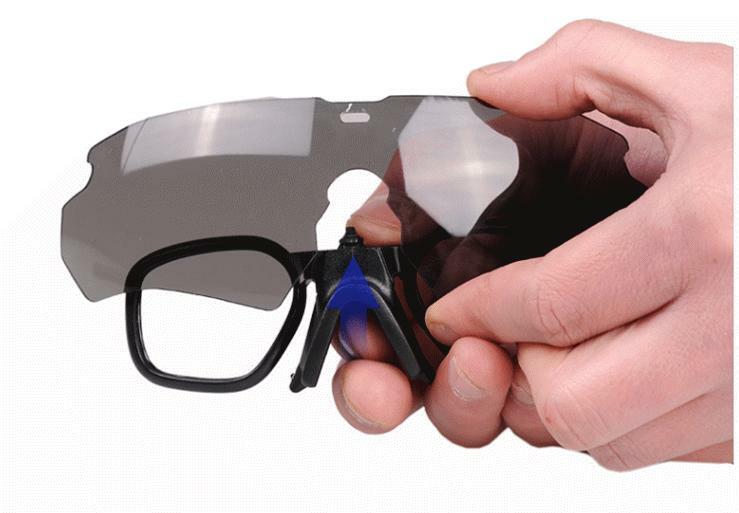 Innovative Lens Locking System keeps the lenses easy to swap yet secure under impact and abuse. Featuring Z-Bend Geometry, the frame's ultra-thin temple arms help keep noise out by minimizing the effect on the padded seal of ear cups. The slim temples eliminate the hot spots and pressure points that commonly occur when normal eye-wear is worn under ear cups.